Our office can create several different types of custom appliances to suit your individual needs. 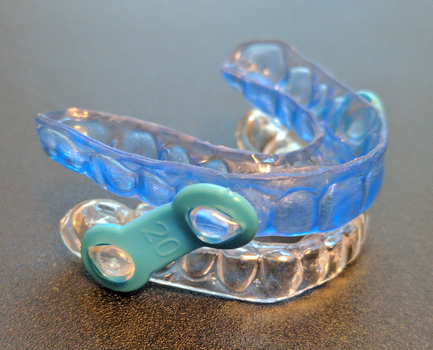 A few examples are retainers, athletic mouth guards, bite guards, and snoring appliances. Retainers are appliances used to keep your teeth in a stable position over time. Custom impressions are taken of your teeth for a precise fit. Most often these are made from a thin clear but durable plastic material. Mouth guards are soft and flexible and can be fabricated for both children and adults . They are most often used to prevent sport-related injuries to your teeth. We take impressions of your teeth in our office for a much more comfortable and improved fit over store-bought appliances. These can be fabricated in virtually any color combination for a custom look. 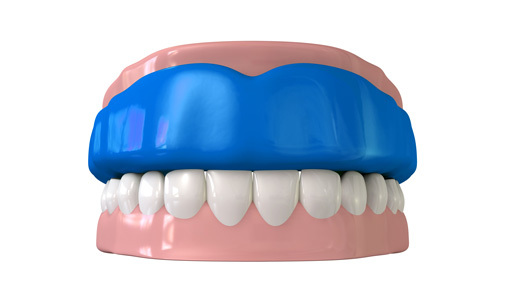 Bite guards are generally fabricated to prevent damage to the teeth from grinding or clenching habits. 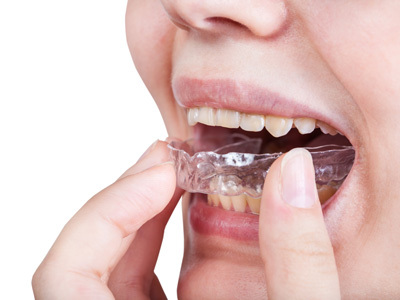 Like regular mouth guards, these are also made from custom impressions of your teeth but are fabricated from a thicker and more durable plastic material for a long-lasting result. Most of these are designed for nightly wear by the patient. TMJ appliances. are custom-designed appliances that help to reposition the jaw to either treat or prevent symptoms due to TMJ ( temporomandibular joint) problems. In many cases headaches, limited movement in the jaw, and jaw pain are signs of TMD ( temporomandibular disorders). These symptoms can be due to injury or can appear seemingly out of the blue. The designs of our conservative TMJ appliances vary based on the patient’s unique needs so contact us to discuss an individualized treatment plan for you. Snoring Appliances are custom-fit oral appliances that help to gently reposition the lower jaw forward to open your airway while you sleep. This can be a much less obtrusive alternative to a CPAP machine to help patients who suffer from snoring or sleep apnea. A custom appliance is made only after you are screened in our office and complete an in-home sleep study to make sure that we offer you an appropriate treatment plan to suit your individual needs.